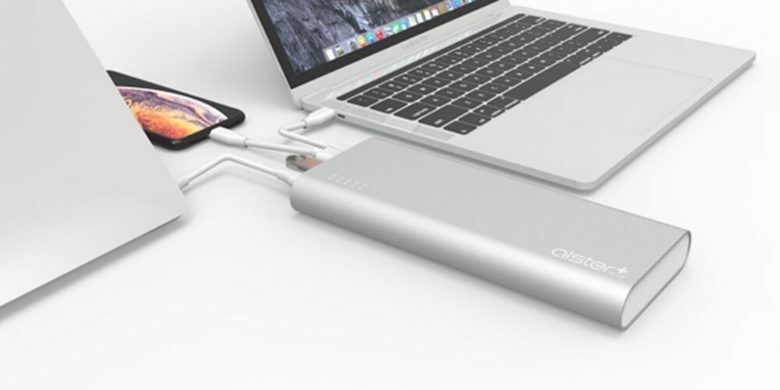 This sleek battery has enough juice to charge four devices at once, including two laptops via USB-C.
Power is everything, especially when it comes to portable technology. So as we leave outlets behind, it pays to have a battery that can make up the difference. Luckily, batteries have been evolving along with the rest of the tech we use. AlsterPlus is a true USB charging hub, sporting two USB-C ports and a pair of USB-A ports. So you can charge four devices at once, including two high-wattage devices like laptops. Smart charging automatically diverts power where it’s most needed, making for quick, safe charges. All of that is contained in a sleek, airline-compliant package, with pass-through charging and overcharge, discharge, current, temperature, and short circuit protections. Even better, the whole thing recharges in about an hour. Buy now: Get an AlsterPlus USB-C Battery Pack for $179, that’s a 30 percent discount.